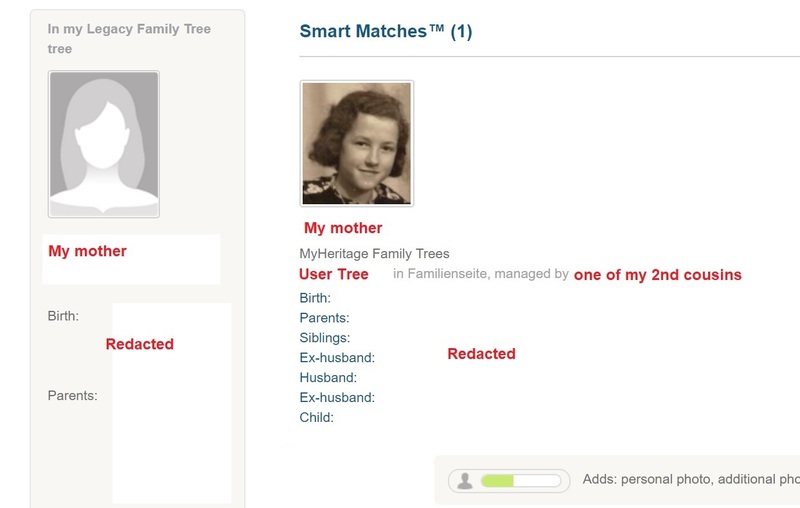 We get a lot of emails from people who are concerned when they see a MyHeritage Smart Match to someone in their file who is Living. 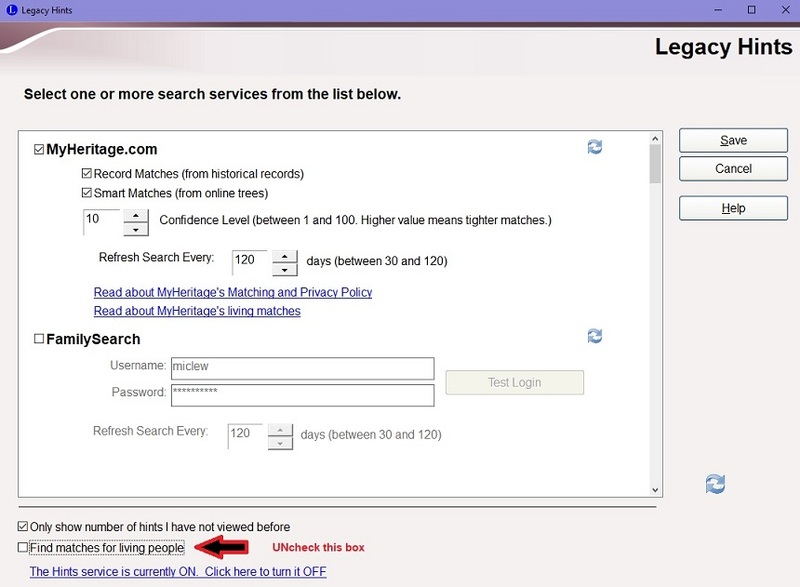 They think that their private information is being uploaded to MyHeritage but that is not the case at all. Here is part of a webinar where Founder and CEO of MyHeritage, Gilad Japhet talks about Legacy and MyHeritage. You can find the entire webinar this snip-it came from here. Here is a Smart Match to my mother who is very much alive. A Smart Match is a match to someone's tree. One of my 2nd cousins has added my mother to her tree. The only reason I am seeing this match is that I have the EXACT SAME PERSON in my tree. The vitals match and the familial connections match. If someone were to search for my mother on MyHeritage they would not be able to find her. The only people that can see her are those people that also have her in their tree. If you still have concerns, you can turn Record Matching OFF for Living people. Go to Options > Customize > View > Option 8.13.